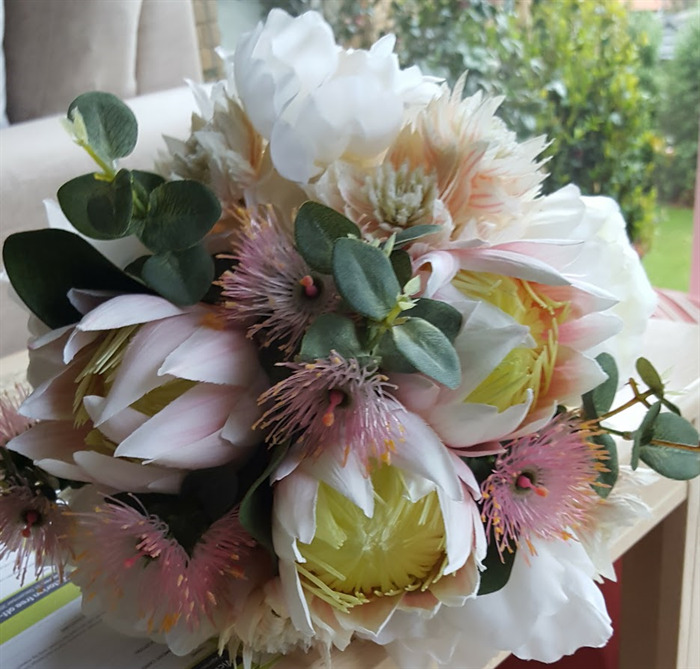 This is a stunning bouquet, ideal for an Aussie bride. 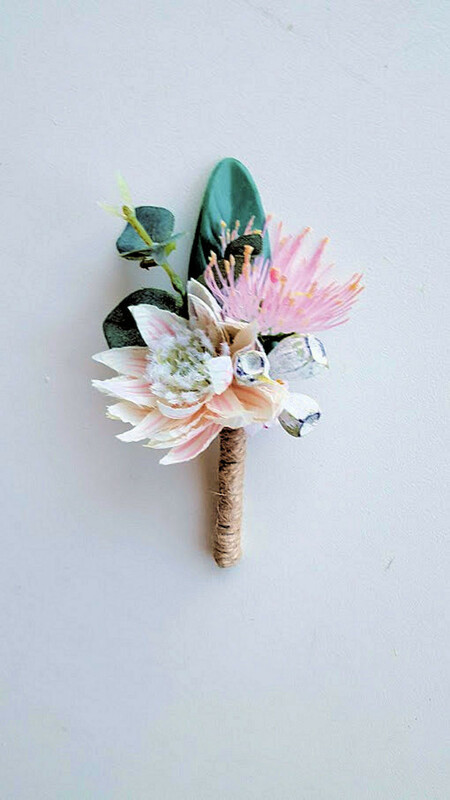 The bouquet is edged with gum leaves & tied with green satin ribbon & cream lace and finished with pearl pins. 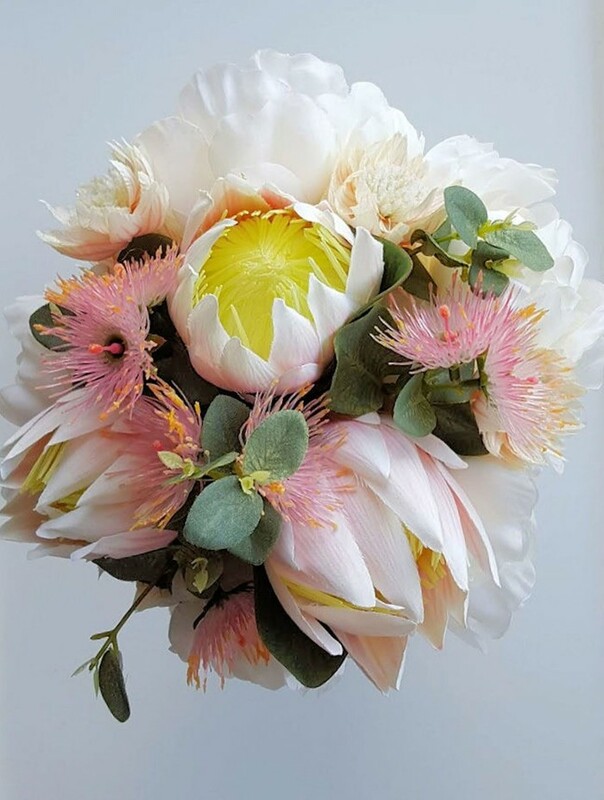 The bouquet is approximately 25 cms in diameter & 35 cms tall. 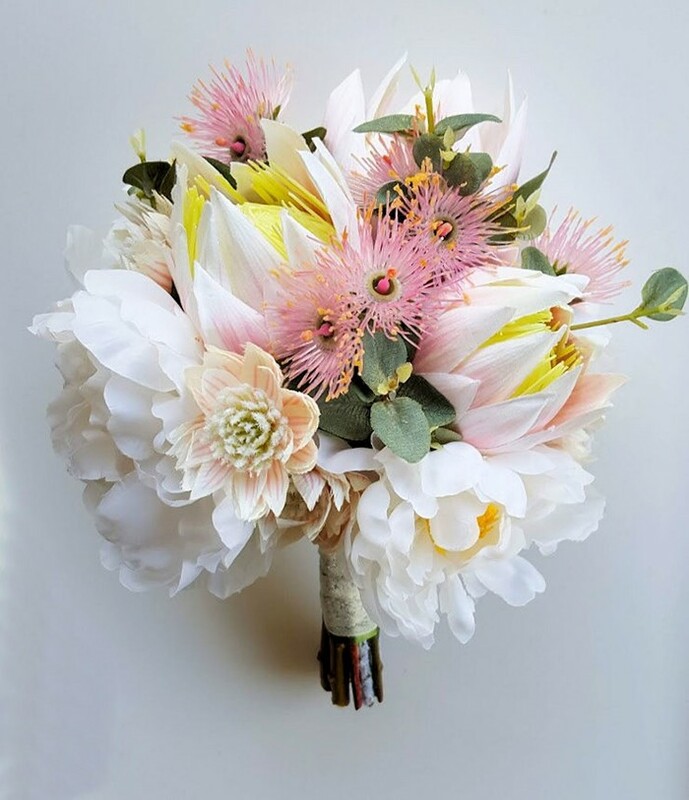 We only have one of these bouquets. If you would like Bridesmaids bouquets please send us an enquiry. 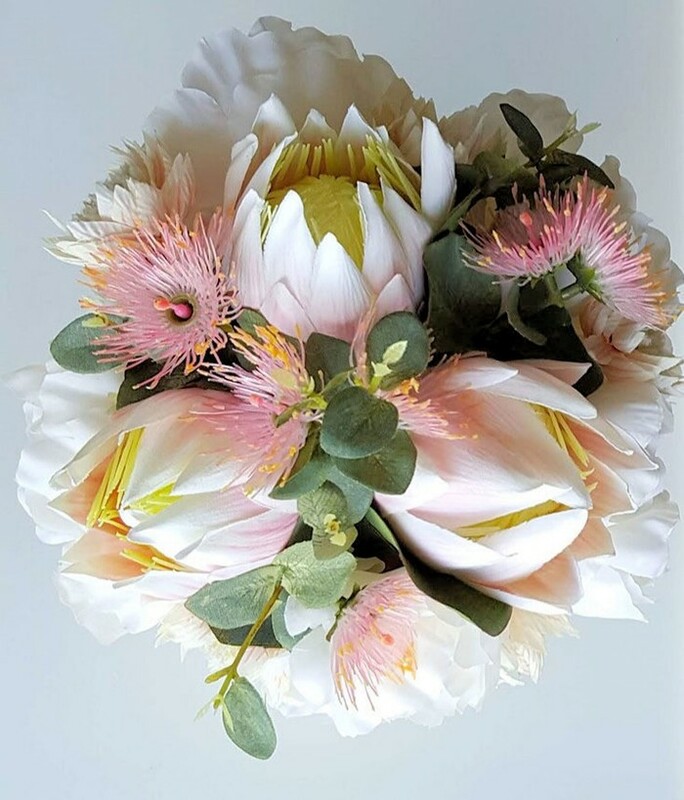 Bouquets sold by UnrealWeddingFlowers have been designed & created by an professional Australian wedding florist using artificial flowers.